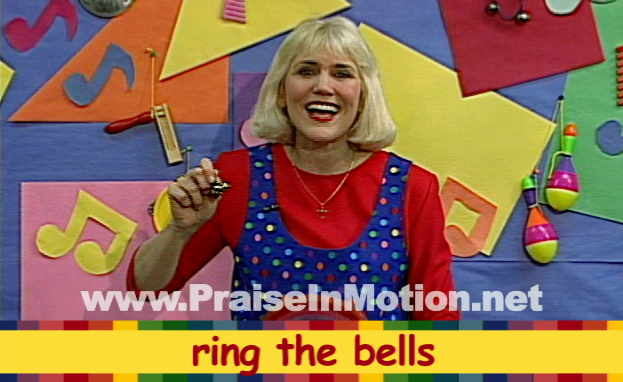 Praise in Motion – From the DVD set, PRAISE IN MOTION, featuring 72 songs with motions for young children. Simple and easy to learn with the lyrics and hand motions on the screen. Happy children in a preschool classroom led by music teacher vetran, Christina Cook Lee. Also comes on CDs. Order with paypal. Kids love it! 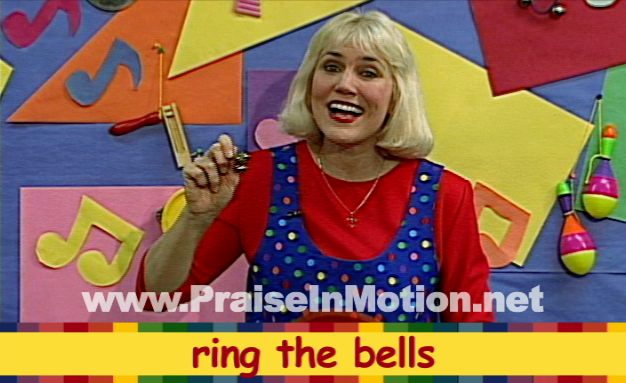 From the DVD set, PRAISE IN MOTION, featuring 72 songs with motions for young children. Simple and easy to learn with the lyrics and hand motions on the screen. Happy children in a preschool classroom led by music teacher vetran, Christina Cook Lee. Also comes on CDs. Order with paypal. Kids love it! Time to be thinking about those little ones in your life and what you will give them this year! BEFORE YOU FORGET, BE SURE TO “FOLLOW” THIS BLOG. YOU’LL BE GLAD YOU DID! ….LOTS MORE GREAT TUTORIALS AND TIPS TO COME! 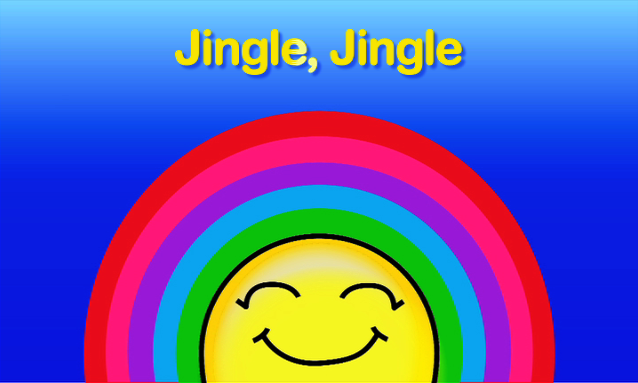 Jingle, Jingle is a song that is super simple and easy to teach. It’s a great “first song” for your Christmas Program. 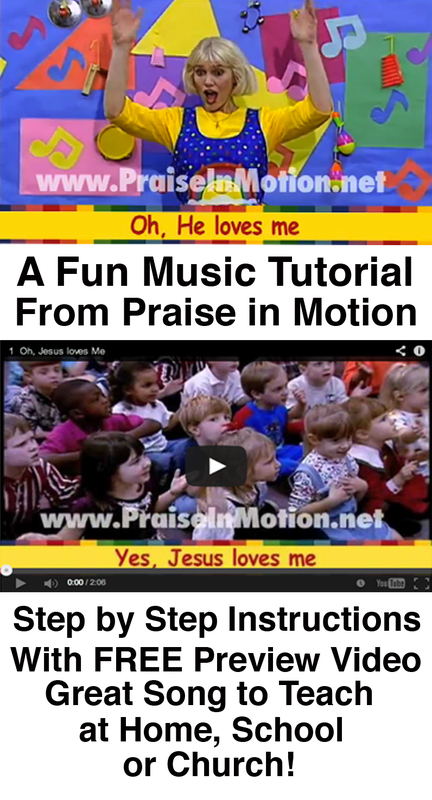 Free downloads, previews and other goodies are at: http://www.PraiseInMotion.net. Before I get started on the tutorial, I have to tell you something that will make you VERY happy! We have split-track/stereo Performance Tracks of all of our songs available for program purposes–not just for the Christmas songs, but for all 72 of our songs that will get you through Mother’s Day, Graduation, and any other performances you will be doing throughout the year. The split-track feature allows you to tune down the voices on the track to let your own children’s voices come to the front. It’s usually nice to leave a little of the track voices in the mix for support and cues…but the choice is yours! After you’ve had a chance to check this song out, go to the site and see what we have that you could use. Repetition is the best way to teach this song. The words to the chorus repeat a few times. The two verses give the message of what Christmas is all about. 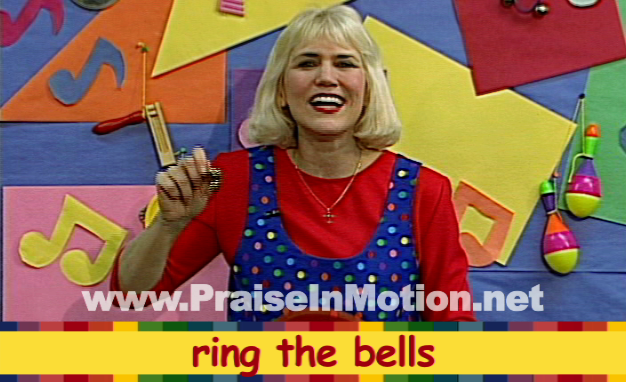 Jingle bell props create the “motions” for this song. You can prepare the props in just a few minutes. All you need is large red pipe cleaners, wire tinsel, yarn, or cord and some medium to large-sized jingle bells or a few small ones for each prop. If you use pipe cleaners or tinsel, be sure to wrap them tightly around and around, so that there are no sharp wire ends protruding and also so that they can’t be untwisted by the children. Of course you can use yarn, ribbon or cord or any other idea you have for creating a handle for the bells. We even used popsicle sticks to wrap the pipe cleaners around one year. The pipe cleaner circles were less likely to unravel, and hanging the bells around the neck help make sure the bells won’t get dropped, but go ahead and use your imagination. 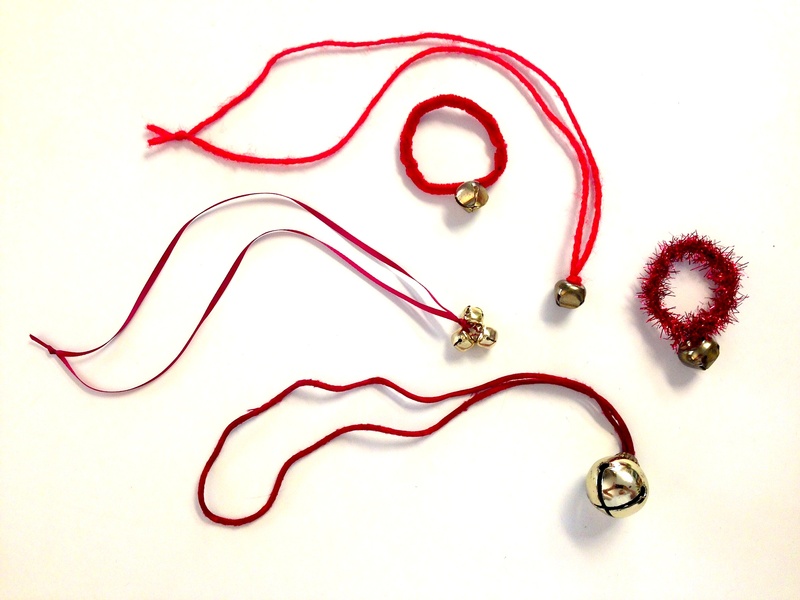 Children will be interested in trying to put the pipe cleaner or tinsel circles on their wrists as bracelets, but they will have more ability to make the bells ring if they hold the circle with their fingers. I would recommend watching the video preview first and then having a look at the additional frames which display the words and motions. If you have the children enter the room where the program will be from the back and proceed down the aisle to the platform or performance area, they can be ringing their bells all the way. Children are often shy when they first enter a room filled with family and friends and this song doesn’t require much from them as they transition into the area to start their program. If it’s not convenient for them to enter the room in a processional, it’s still a great song to start a program with, for the same reasons. 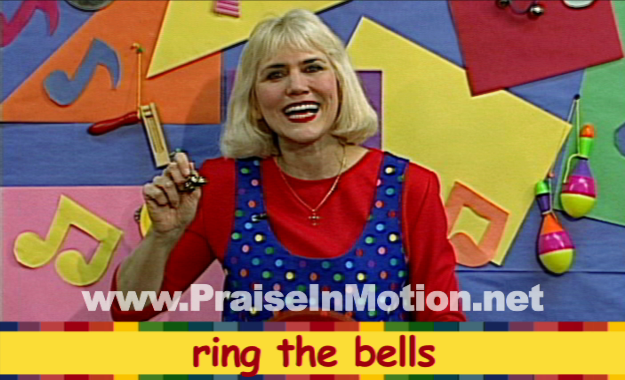 The attendees love the happy sounds of the bells and all of the great approval the children will instantly feel will get things rolling in a good way. If you decide to have the children enter the room processional style, it will probably work best if you are the leader and you have a couple of helpers on either side of the doorway to keep the children coming along. It’s cute to have the children come down the aisle “in twos”. Having a partner to walk in with can help to make the children feel more secure than single file. When they get to the front, another helper can assist you to have them split and go on separate sides to fill the front–whether you’re using risers or just having them stand in a single line across the front. If you don’t have enough teachers involved in the program to have that many assistants, try asking some of the parents who might be available to give you help with the program. If you want to have the children exit the performance area to return to their classroom for parent pick-up, you could repeat this song and use it as the recessional. Even though the motions to this song are simply making the jingle bell ring, I decided to go ahead and prepare line by line pictures for your reference. The introduction is a short instrumental segment. During this time, display a big smile to set the tone of happiness. Be sure to remember the power of your own attitude. Music programs can be pressure packed. Expectations are high! You, as the music teacher, must rise above any conflicts or negative circumstances and be a HAPPY PERSON! The children will are also feeling LOTS of pressure! Especially if this is their first public performance. Your upbeat attitude is what can turn the tide if a child is feeling overwhelmed or other stressful situations have occurred. Just shake it all off and determine to have a good time! 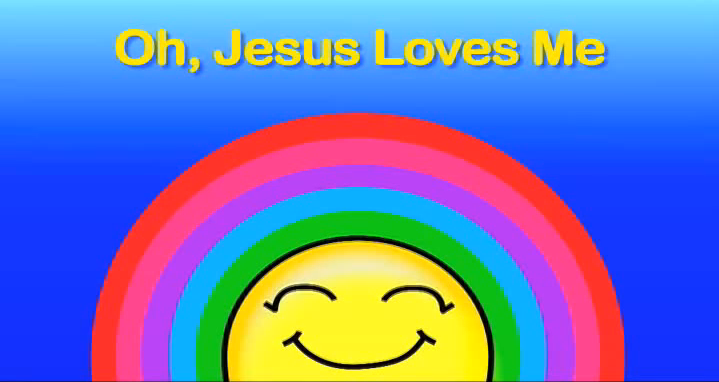 Oh, Jesus Loves Me is a song that is extremely fun to do. The message is about the unconditional love of Jesus. 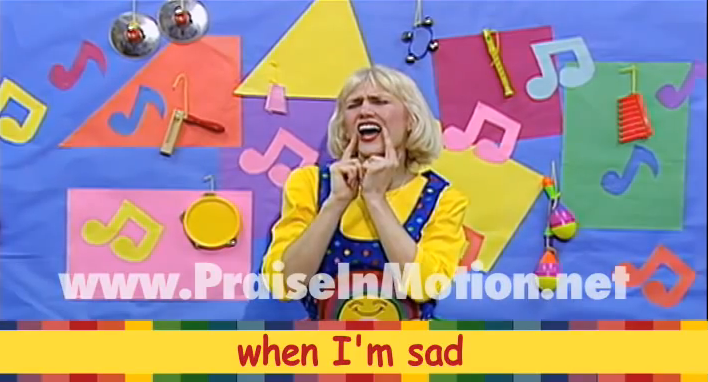 Children really enjoy this song because it allows them to act out in a positive way. Very little preparation is required to teach this song to children. The motions are simple and straightforward. 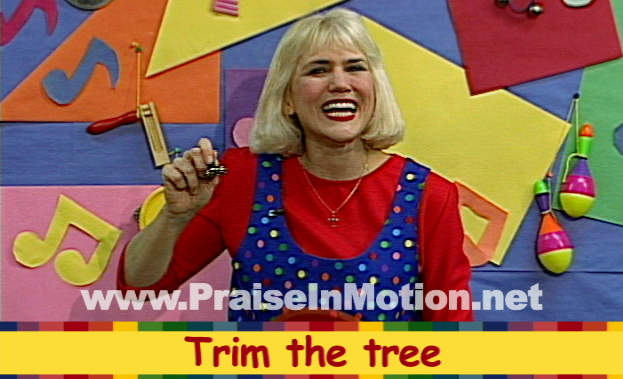 I would recommend first watching the video and then I will demonstrate and explain the motions line by line. The introduction is a short instrumental segment. Pretend like you’re playing a guitar. Children are quick to pick up on this motion. Continue doing the guitar playing motion through the first line that says, “Jesus Loves Me”. The next line is, “OH! – He loves me”. For this motion, throw your hands up in the air and rotate your wrists rapidly on the word “OH”, then drop your hands in front of you keeping your elbows bent and let your head sway slightly from side to side while you sing “He loves me”. The next line is, “When I’m good or when I’m bad”. 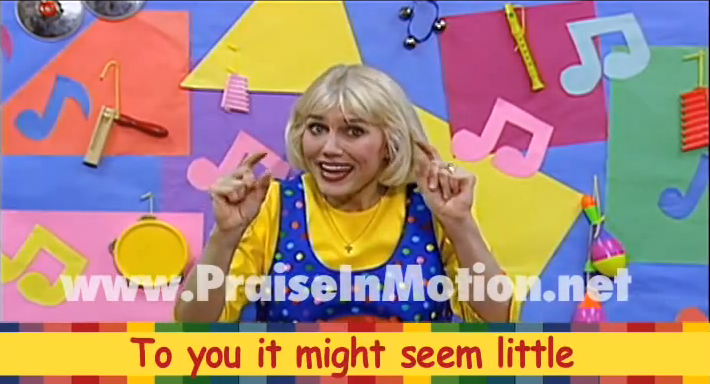 For the words, “When I’m good”, Tap your thumbs on your shoulders and sing with a big smile. For the words, “Or when I’m bad”, do a thumbs down and make face that shows the impression of “wrong” when you’re singing. The next line is, “When I’m happy – when I’m sad”. For the words, “When I’m happy”, put your index fingers on the corners of your mouth to emphasize your big smile. For the words, “When I’m sad”, let your elbows drop and with your index fingers still at the corners of your mouth, emphasize the very sad face you’re making. 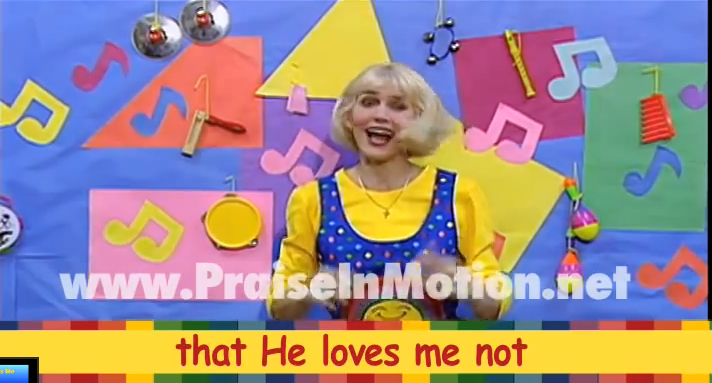 The next line is “Jesus loves me” and all you have to do is drop your hands in front of you, keeping your elbows bent, and nod your head as you sing. The next line is, “OH! – He loves me”. For this motion, throw your hands up in the air and rotate your wrists rapidly on the word “OH”, then drop your hands in front of you keeping your elbows bent and let your head sway slightly from side to side while you sing. Now for one of the most fun parts of the song. The line is, “I’ll never have to say that He loves me not”. And for this line you swing your head back and forth and let your hair fly! As soon as you’ve said “loves me not”, quickly clap two times. The next line is, “To you it might seem little”. For this line, use your thumb and index finger to make a motion that gives the impression of “little”. When you get to the word “lot”, quickly throw your arms wide open. Continue with the arms wide open motion through the next line, “To know He loves me”. After this line, there is a short instrumental transition during which you will continue nodding and smiling and slightly swaying as you draw your arms back to your sides with elbows still bent and get ready to repeat this chorus with the same words and motions two more times through. After singing the chorus a total of three times, there is a tag ending. The first line is, “Oh, how He loves me”. For this line, open your hands and pat them on your upper chest with elbows out. The next line of the tag is, “Yes, Jesus loves me”. For this line, fling your arms wide open and nod your head with a big smile. The next line is, “Oh, how He loves me”. For this line, you will once again, open your hands and pat them on your upper chest with elbows out. End with the final line, “Yes, Jesus Loves Me”, where you will once more fling your arms wide open and nod your head with a very big smile through the end of the song. “Oh, Jesus Loves Me”, is a great song for graduation programs. It’s really fun to watch the children’s enjoyment of the motions and to hear their voices ringing out when they sing the word, “OH”. 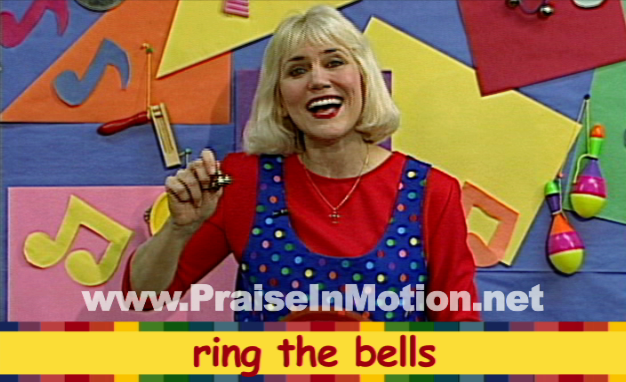 This song is a big hit with parents and grandparents at any kind of special program. Children almost always participate in the singing and the motions. If a teacher needs a song to change the general mood in the classroom from a negative to a positive–this is the song to sing. 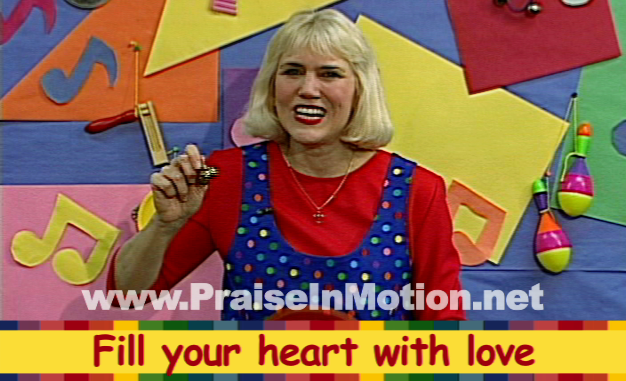 Using this song is a good way to teach children about real love. Children may sometimes have a tendency to associate love with good behavior and getting approval. When they have had bad behavior and have received negative approval, they might not think they are loved. “Oh, Jesus Loves Me” is a song that can help them understand the unfailing love of Jesus Christ and the fact that they are still loved even when they may have disobeyed. PLEASE DO ME A FAVOR AND PIN THIS ON PINTEREST. THANKS SO MUCH! I worked for 15 years as a music teacher at three different schools. I loved my job and learned a lot of things during the hundreds of classes I taught and the numerous Christmas Programs and Graduation Ceremonies I coordinated the music for. 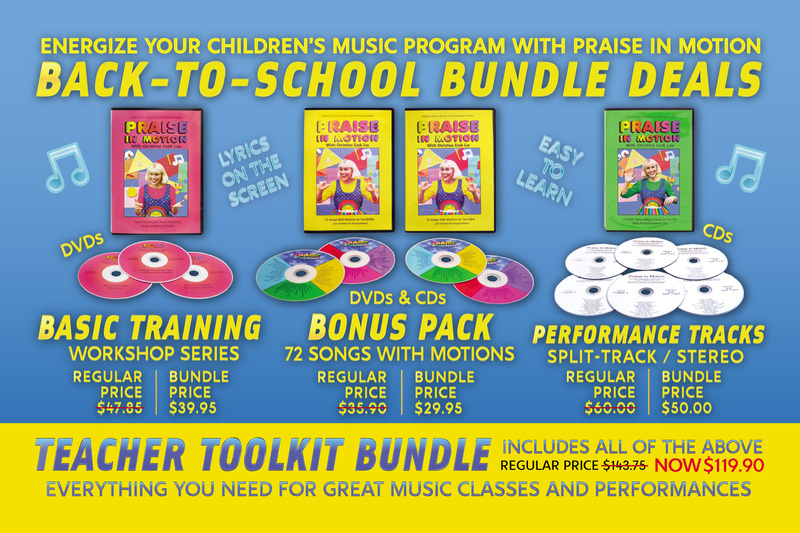 One big thing I learned is that it’s very hard to find good songs to teach young children. Many products appear to be for little kids but when you start listening to the music, it’s way over their heads with far too many words and sometimes concepts that they really just aren’t ready for. During the years I taught, I researched heavily to learn what children should be able to do at various stages of their development. I also looked constantly for engaging songs they would enjoy and be able to sing. I found from experience that the songs they liked the best were the ones with motions. Early on, I tried to add motions to virtually every song I introduced to them. I saw amazing things happen in the classroom. Kids that weren’t interested in music started getting involved. The attention span essentially doubled as I started out teaching 20 minute sessions and before long was able to give them 40 minutes without losing them. It never failed that they wanted more when our time was up. I had a degree in TV and Film Production, so after a short time I started creating teaching tools for other teachers to use. I began producing music tracks that turned into CDs. Then we added video to make DVDs of the songs that worked the best. My goal with this blog is to share some of my teaching techniques for the individual songs we recorded so that other people can benefit from some of the things that took years for me to develop. I hope in time, that the blog will be a large body of work that is a huge resource for parents, grandparents, relatives, friends, teachers, and anybody out there who loves teaching music to little children.